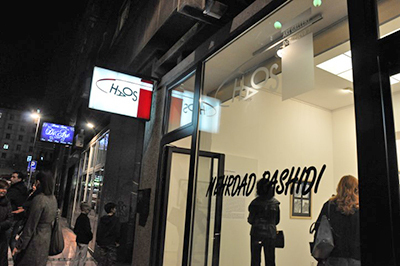 The exhibition of drawings of MehrdadRashidi, Drawing as a Prayer at Gallery Haos in Belgrade was organised by Museum of Naïve and Marginal Art in Jagodinaand the Gallery Haos from 2 – 27 February 2016. 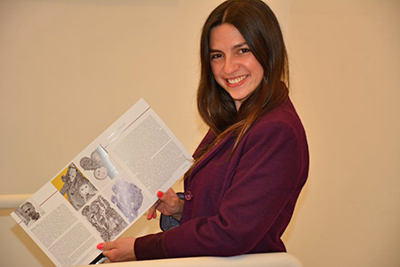 The author of the exhibition is Nina Krstić, museum counsellor, and the author himself gave a speech at the opening ceremony. 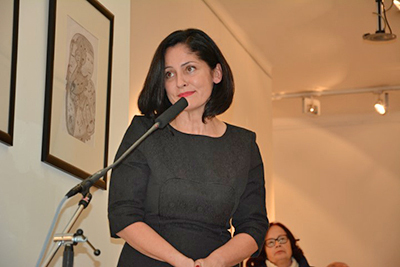 The Director of Gallery Haos, Mrs BorkaBožović, art historian, opened the exhibition. 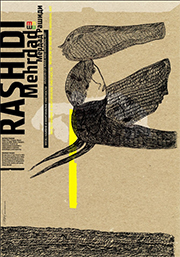 The search for hidden world of lost dreams, the evoking of forgotten, secret souls which vanish in the machinery and absurdity of modern age and alien world and time are an inspiring motif of MehrdadRashidi. Observing his works we learn that a wide field of contemplative processes where the artist’s consciousness and sensuality intertwine is unlimited. By using a line he establishes and re-examines his inner iconographic world of personal mythologies, while his nostalgia for the lost balance is a reaction to suppressed subconsciousness and his unconscious location in time. The paper becomes an altar where the author encounters his thoughts. The evasion of figures that originate from space and time pervade the author and force him to do a creative act. MehrdadRashidi has a genetic code of his nativeambience – Iran, the miraculous country burdened with the heritage of Old Persian culture. MehrdadRašidi was born in the town of Sari in Mazandara District on the north of Iran on 29 September 1963. In his early youth, Rashidi was forced to leave his native country for political reasons, so he found his new home abroad. As a twenty-year-old man he settled in Elkhart in Germany where he still resides.MehrdadRashidi began doing painting in 2006. 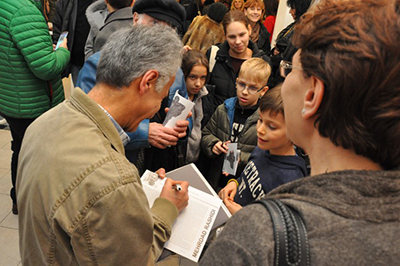 He had his first solo exhibition in Dusseldorf in 2012 and then in Erkhart (Nacht der Bibliotheken, 2013). 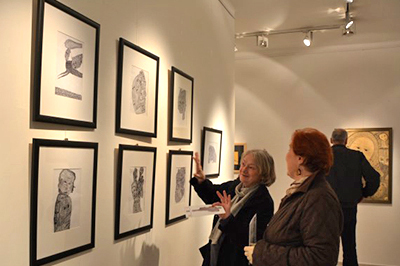 At the exhibition of Outsider Art Fair that is held twice a year in Paris and New York he presented his work to foreign audience with the help of Gallery Henry Boxer. Then, significant exhibitions followed: Rentrée hors-les-normesdécouvertes et nouvelles acquisitions 2013, Gallery Christian Berst, Paris (10 September – 12 October 2013), the Seventeenth Art Colony of Naïve and Marginal Art, Museum of Naïve and Marginal Art, Jagodina(17 October-17 November 2014), Art in Spiritual Exile, Gallery of Central Military Club in Belgrade (29 May – 20 June 2015), Art as a Prayer (30 October – 30 November 2015)Museum of Naïve and Marginal Art, Jagodina. 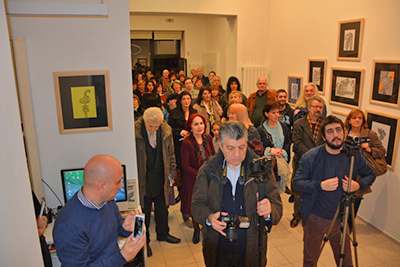 At the exhibition ofthe Sixteenth Biennial of Naïve and Marginal Art in the Gallery of Central Military Club, Belgrade, this talented artist was awarded Grand Prix for his artistic realizations in the domain of marginal art.